This year’s event will be held at the intersection of Pacific Coast Highway and Second Street, behind Seaport Hotel. Boaters looking to sell nautical gear and equipment can purchase a vendor space for $20. Attendees can expect mostly marine items, with a few extras thrown in. Some great finds in years past include dinghies, anchors, brand-new line, fishing rods, stanchions, fenders and the occasional settee, organizers said. There are usually some new items, too. While there is a fee to sell at the swap meet, shopping and browsing is free. 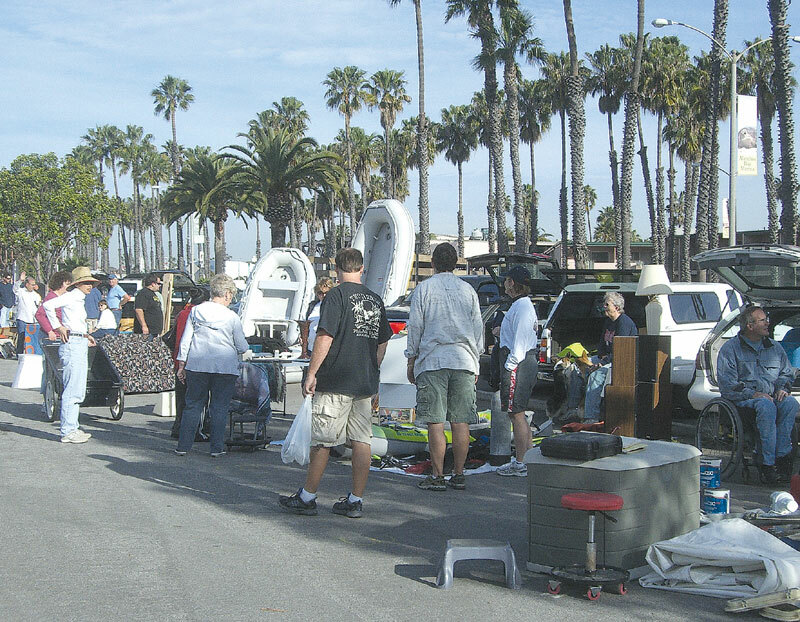 With the location in the parking lot of the marina, vendors will find it easy to clean out a dock box, lazarette or garage and bring items to the swap meet to sell, organizers said. The Long Beach/Los Angeles Women’s Sailing Association was formed in 1992 to foster a love of sailing. Now, with more than 50 members, the Sailing Chicks spend as much time as they can on the water. For more information, visit sailingchicks.com or email events@sailingchicks.com.